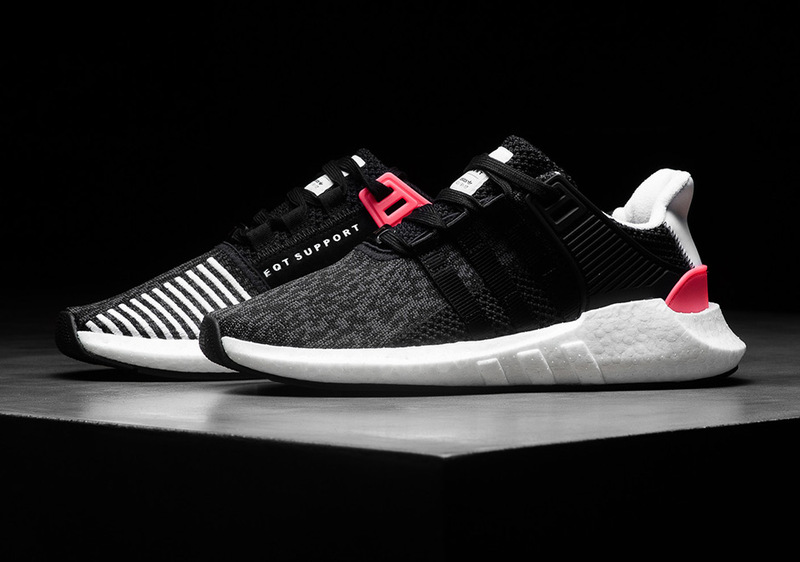 If this early “Turbo Red” pack is any indication, it’s going to be a big year for the adidas EQT line. 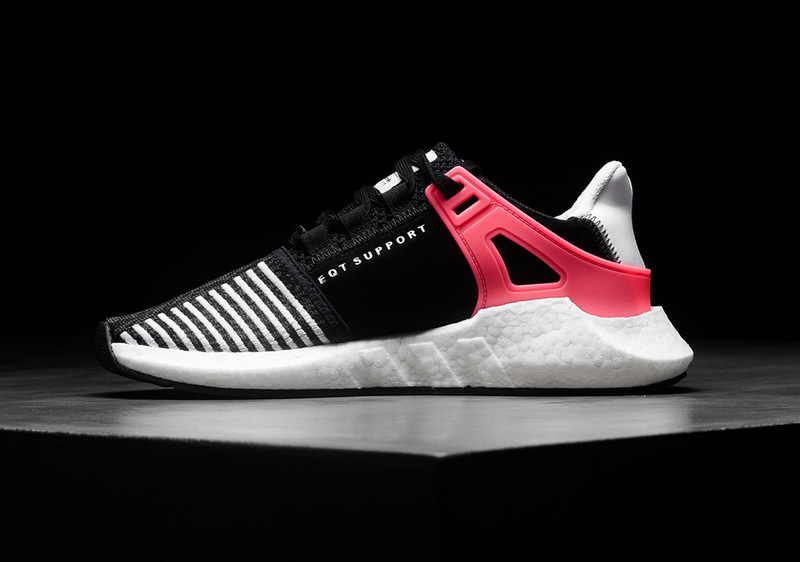 The eight shoe collection which features the bright red accent color (that’s opposite the original EQT green hue on the color wheel) is well-represented with the new EQT Support 93/17 seen here. 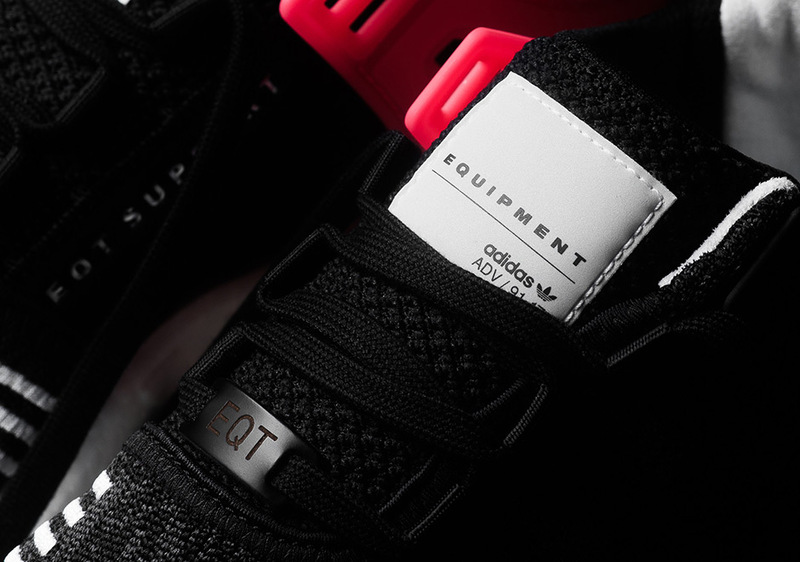 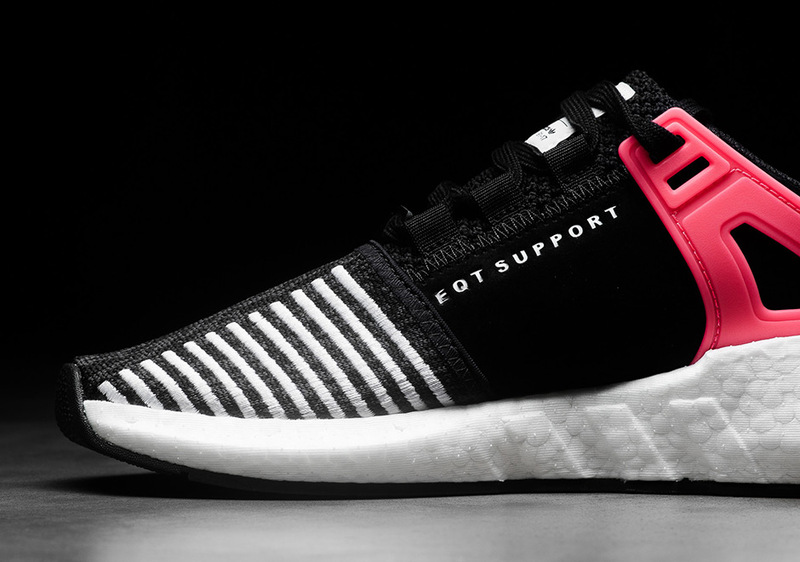 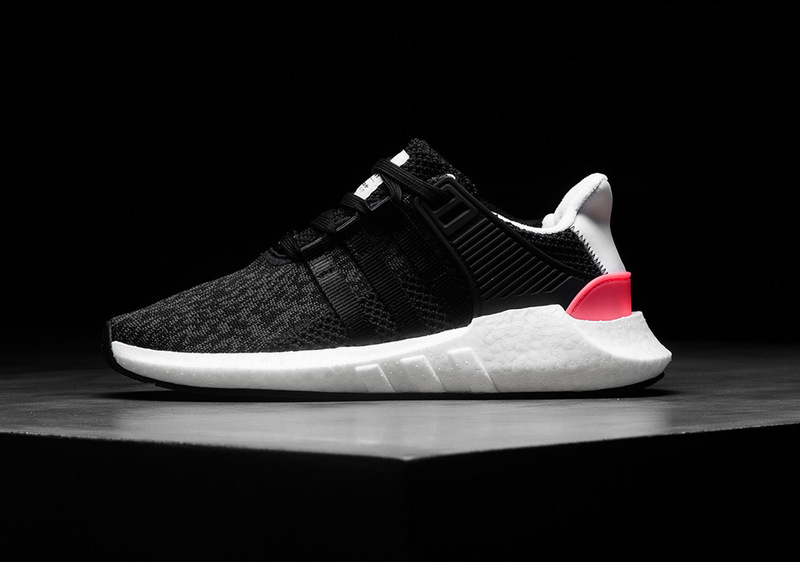 The modernized EQT silhouette gets a Primeknit upper in black and dark grey with high-contrast white stripes embroidered into the toes on the medial side, while Turbo Red is found on the TPU heel counter. 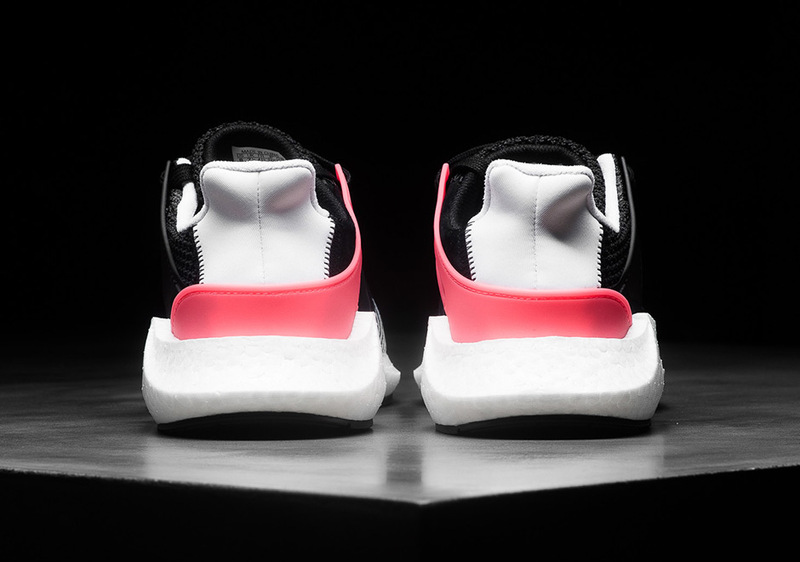 Of course, it’s all capped off with the full-length Boost cushioning. 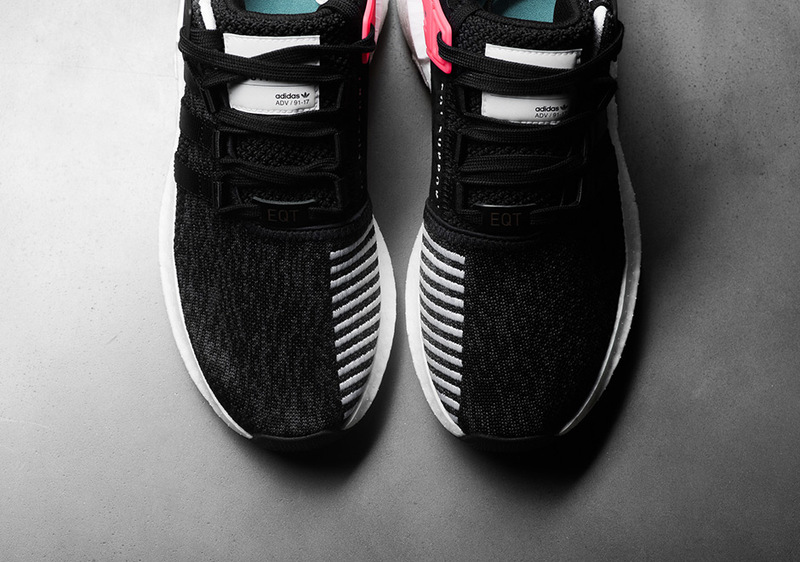 The latest and greatest EQT model drops this Thursday, January 26th at select adidas Originals retailers like Politics.